From 15 to 18 May this year representatives of the company 2RHP sp. o.o. presented the RESYS system to NSW and Queensland Mines Rescue Services at Newcastle Mines rescue Station, Australia. In the following days, we tested RESYS in two underground coal mines Myuna and Mandalong located in New South Wales. 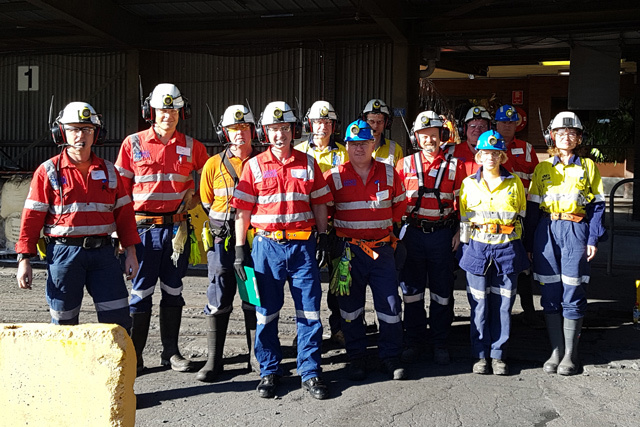 NSW State Operations Manager Steve Tonegato (State Operations Manager of NSW Mines Rescue) said “The RESYS system is the most complete and advanced radio system for Mines Rescue we have seen to date. It has tremendous potential to improve both rescuer safety and efficiency and we look forward to working with the 2rhp team to conduct further testing”. Thank you to the NSW Mines Rescue team for the invitation and the opportunity to present the RESYS system. We hope and make efforts to make this meeting the beginning of successful cooperation.